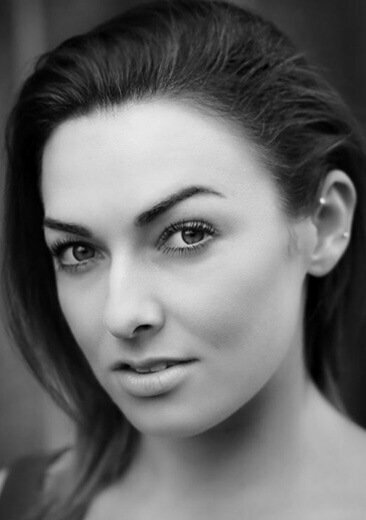 Holby City actress Rebecca Grant began her career as a dancer in Andrew Lloyd Webber's hit musical Bombay Dreams in the West End. Previously, at the Morrison School of Dance in Nottingham, she trained in all forms of dance such as Ballet, Jazz, Tap and Modern. She continued to specialise in other national dance such as Flamenco and Filipino dance, performing in prestigious venues like The Royal Albert Hall and the O2. Her role in Bombay Dreams in London and Broadway led to many Bollywood genre television appearances, including The Royal Variety Show. After having a string of leading acting roles in theatre and film, she continued her dance expertise as the quirky soubrette Magic Wanda in 'Burlesque' in London. As an all-round performer she also sings with UK's top jive band, The Jive Aces. She has just finished playing the lead in a feature film called 'Chakara' and is currently working for Kali Theatre for 'The Vaults' in Waterloo. However, dance has and will always be her favourite art form key and so Rebecca continues to keep up her dance skills for future projects, not least through her work with AGSD. Abigail went to stage school at the age of seven where she first trained in ballet and dance. As a teenager Abigail was cast in the English Youth Ballet productions of Coppelia and The Nutcracker. It was later while studying A-level dance at college that Abigail's love for contemporary dance really formed and she went on to to receive a degree in Dance Theatre at the prestigious Laban Conservatoire of Contemporary Dance in London. Since graduating Abigail has successfully auditioned and worked as a production dancer for Costa Cruises which gave her the opportunity to dance all around the world, most recently working for a theatre company for two years in Greece. She also dances twice a year in the sell-out "Classical Spectacular" shows at the Royal Albert Hall and is a regular dancer in various TV events. Abigail is currently furthering her studies in both nutrition and anatomy as I feel it can only aid my understanding of dancing. She believes that will help me become a more well-rounded teacher and to produce beautifully proficient, technical and intelligent dancers.